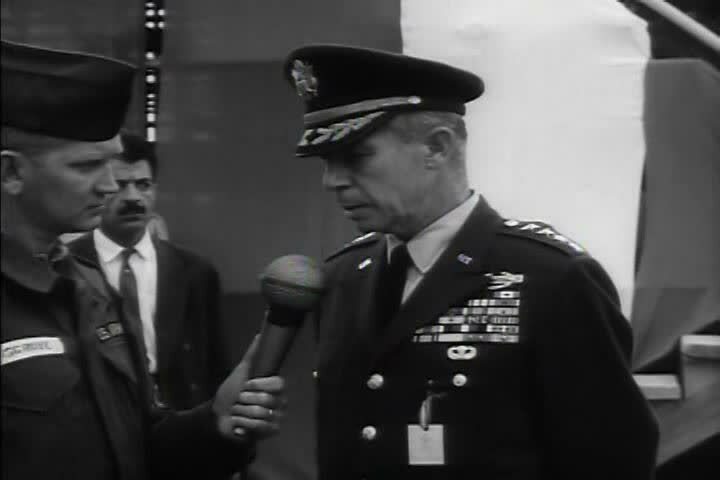 hd01:33CIRCA 1960s - Sergeant interviews a military commander about the exercise Delaware in Iran in 1964.
hd01:32CIRCA 1964 - General Adams is interviewed about his impression of the joint US-Iran Exercise Delawor, and about the Shah's impression of it as well. sd02:151940s: Hobos in a mock boxcar play harmonicas and throw knives at each other in this 1940s soundie musical. sd01:19CIRCA 1926 - Two odd fellows come to a clubhouse to golf. One rolls his own cigarette, which somehow gets caught in the other's beard. sd01:44CIRCA 1920s - A house painter ensures a potential customer that his quality work is worth the price that's higher than his competitors'.